The first in a year long 107 Cowgate series of articles exploring the impact of the 1916 Revolution on the working class in Ireland and beyond. Steve Hedley addressing Connolly Conference 2014 in Edinburgh. My first memories of learning about the Easter rising are from when I was about three years old sitting in a neighbours house in our street in the Bogside listening to republican albums being played on a record player. I was enthralled with tales of Patrick Pearse and other heroes like MacDonagh, Mac Diarmada, McBride and the Countess Markiewicz, but most of all the man who was shot in the chair, James Connolly. It was a turbulent time in Derry which had just declared its autonomy and barricades protected our street from marauding British soldiers. My family where initially sympathetic to the Official IRA who were overtly socialist and socialist ideas were often talked of in our house amongst friends and neighbours. It was no surprise then that as I grew up I tried to discover who this man Connolly was and what his motivations were for being part of the Rising. I attended Catholic schools that were broadly nationalist and sympathetic to a united Ireland but I quickly noticed that although the Easter rising was taught about extensively, Connolly and the Irish Citizens Army were relegated to a footnote in our history lessons barely meriting a paragraph in the official history books. I remember as a teenager actively seeking out Connolly’s texts and speeches and exploring the origins and politics of the ICA. As an adult it’s easy to see why official historians – even those green in hue – would seek to minimise the role of a revolutionary Marxist in the Irish Rising. It’s much safer to present the rebellion as a patriotic gesture or some mystical “blood sacrifice “that would reawaken Ireland’s yearning for nationhood. It is far more dangerous to concede that Connolly and the members of the Irish Citizens Army were not just out to change the colour of the flag of the exploiters from the red to green but wanted to overthrow the whole capitalist system and replace it with a socialist one. The origins of the ICA from a workers militia that fought the bosses and thuggish drunken members of the AOH, and its transition to an armed force that that consciously set out for armed revolution is an extremely dangerous example to highlight, if you are a capitalist. I suppose in a nutshell what the Easter Rising means to me is that it was the first time that the cream of the Irish working class under the leadership of Connolly asserted itself in arms for its own ends. Connolly knew that the rebellion was doomed, the betrayal and demobilisation of the vast majority of Volunteers by O’Neill was the icing on the cake, but even if there had been full participation the balance of forces meant that a British victory was inevitable. Nevertheless Connolly decided to throw in his lot with the most advanced elements of the republican movement. I believe in doing so Connolly sowed the seed for future generations of Irish Socialists to not just oppose British imperialism and capitalism in word and in literature, but to challenge it, and when necessary, by force of arms. Connolly, in many ways, was ahead of his time. When social democrats all over Europe disgracefully supported their ruling class in the rush to war in 1914, Connolly stood with other revolutionary giants like Luxembourg and Lenin in opposing the slaughter. By leading the working class in revolt against imperialism Connolly guaranteed that it was possible for socialist ideas to flourish in Ireland. The Easter rising then is not for me a time to remember the false patriotism, harps and shamrocks used by Irish capitalists, but instead the green and the red of Irish socialism; the green uniform of the ICA, the original Starry Plough flag – the internationalist socialist flag – and the red blood that these heroes shed for the working class and working class interests alone. 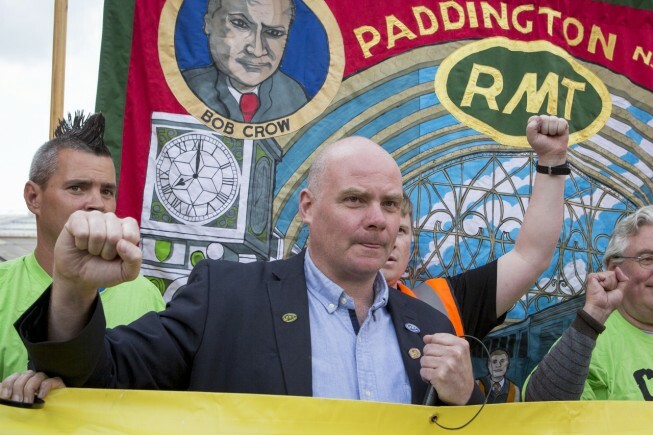 Steve Hedley is Senior Assistant General Secretary of the RMT trade union and writing in a personal capacity.